She's Fantastic: Star Wars 3.75" Series - CAPTAIN PHASMA! Star Wars 3.75" Series - CAPTAIN PHASMA! It's been a long time since I've been excited about 3.75" Star Wars figures. My first foray into the Star Wars collecting was many many years ago when I decided to find every Twi'lek female. There were a lot at the time and I eventually got them all. But then I grew bored and sold that collection. Soon I began assembling a rebound group of females that looked "like could have appeared in the original trilogy." That was my only requirement to be admitted into my nerd cave... and all these years later the group is looking nice. There are Mandalorians, Imperial Officers, X-Wing pilots, and a stormtrooper. But now the presence of Captain Phasma is opening up a whole new world of possibility for more figures. I won't be going overboard with this specific character persay, but just the fact that there's a main female character that's not a princess, a slave, or a prostitute is refreshing. I think it bodes well for diversity in the future films. At least I hope that's the case. 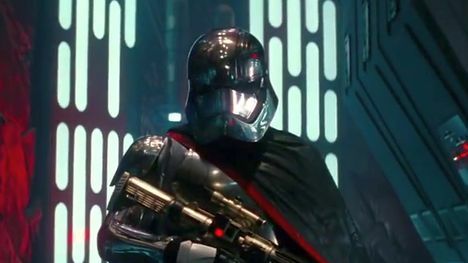 Let's check out Captain Phasma below! This version of Captain Phasma has very minimal articulation: 5 points. Phasma comes with a gun, a cape, and a buzz-saw weapon that is the "build-a-figure" component. 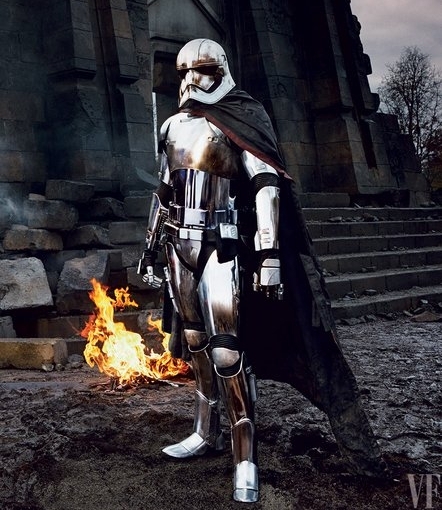 Here are images of Phasma without her cape and gun. Her weird buzz-saw accessory can be combined with the accessories from other characters to form some sort of insane device. Here she is with the Disney Store Exclusive Elite Series Phasma. And with the only female Stormtrooper (at least that I know of), Jes Gistang. I’m going to be so disappointed when she doesn’t slice anyone in twain with a giant buzzsaw in the movie.